This comprehensive, in-depth course includes reference materials and review questions with answers and explanations for each chapter. There are two parts to the course - Practice 1 and Practice 2 - which can be purchased together or individually. For college bookstore or ASO bulk orders, please call 800-966-6679. The ABA Preparatory Course helps those studying for the Comprehensive Examination for Accreditation in Accountancy to earn the Accredited Business Accountant/Advisor® (ABA)credential. 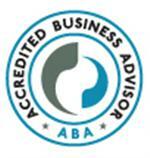 Accredited Business Accountant® is ACAT’s trademarked designation for Accreditation in Accountancy. The ABA is a prestigious professional accounting credential that demonstrates to clients, potential clients and employers that the credential holder has a thorough knowledge and proficiency in financial accounting, financial reporting, financial statement preparation, taxation, managerial accounting, business law, and ethics for small- to medium-sized businesses. The ABA is accredited by the National Commission for Certifying Agencies (NCCA), an independent resource recognized as the authority on accreditation standards for professional certification organizations and programs. *ACAT’s role is in developing and administering certification examinations to determine the qualifications of candidates for certification. ACAT does not approve, endorse, or recommend any education or training programs or products designed or intended to prepare candidates for ABA certification. Purchase of NSA review materials is not a requirement for testing, nor does use of any review materials (NSA or otherwise) imply successful performance on the ACAT certification examinations. Refund Policy: All Online/PDF study material sales are final, no refunds will be issued after purchase. Books will need to be shipped back within 2 weeks. NSA does not pay return shipping. Products should be returned undamaged and shipped via traceable means. Please include and copy of your original purchase receipt.